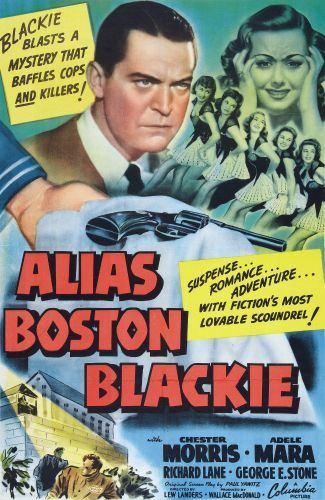 Ex-thief Boston Blackie (Chester Morris) brings a variety show up to his old prison alma mater for Christmas Eve. 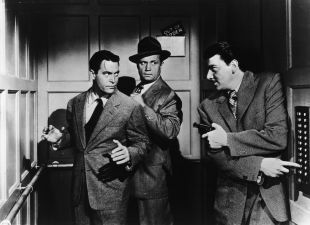 In violation of the visitation rules, he also brings along Eve Sanders (Adele Mara), whose brother Joe (Larry Parks) is doing a 15-year stretch as an accomplice to a robbery-murder. 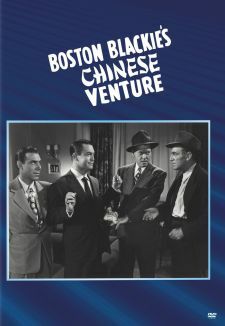 When Joe escapes by disguising himself as one of the performers (with whom he once worked), the police want to hold Blackie as an accomplice. The thief-turned-investigator has to avoid arrest long enough to find Joe before he carries out his vow to kill the men who framed him, protect Eve from the consequences of his escape, and clear his own name -- and the only way to do all of that means solving the original crime for which Joe was convicted, following blind alleys and trails that end with men who have died, disappeared, or assumed new identities. Along the way, amid a considerable number of laughs at the way Blackie outwits the police, we get a truly suspenseful pursuit and two sequential escapes, one from a murder scene with police all over the place and the other from a police station in an amazingly clever, funny, and tense sequence (and one which, despite the humor here, manages to anticipate the bloody escape from maximum security in Silence of the Lambs). 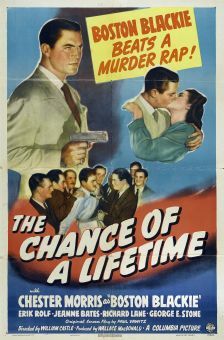 The cast includes Morris in top form and Adele Mara looking very pretty and vulnerable, plus an intense young Larry Parks as a man on the run, and character men Cy Kendall, Paul Fix, George McKay, Lloyd Corrigan, and George E. Stone doing what they all did best. 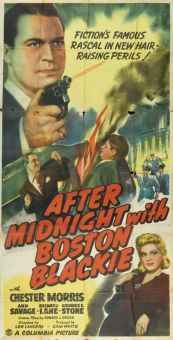 But it is director Lew Landers and writer Paul Yawitz who do the best work of all, moving this cracking great mystery thriller at a breakneck pace, the latter all the more striking since the whole plot takes place across a 24-hour time arc on Christmas Eve and Christmas Day. 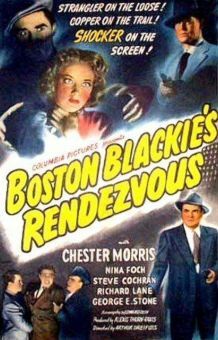 That fact, coupled with some revived interest in the 1940s Columbia "B" catalog, has helped make Alias Boston Blackie one of the odder pieces of holiday programming to turn up on various vintage movie channels. 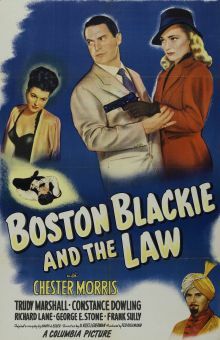 The story was also good enough to be remade -- with an offbeat gender twist and even more laughs, but also a higher body count -- four years later as Boston Blackie And The Law.